The increase in the length of the centerline radius that occurs as a result of springback. Radial growth increases with rigidity of the material and “D” of bend. 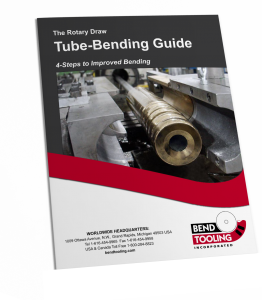 If specification of the centerline radius is critical, radial growth is offset by decreasing the radius of the bend form.